Two Brazilians walk into a bar, take all their chairs and build a brand. 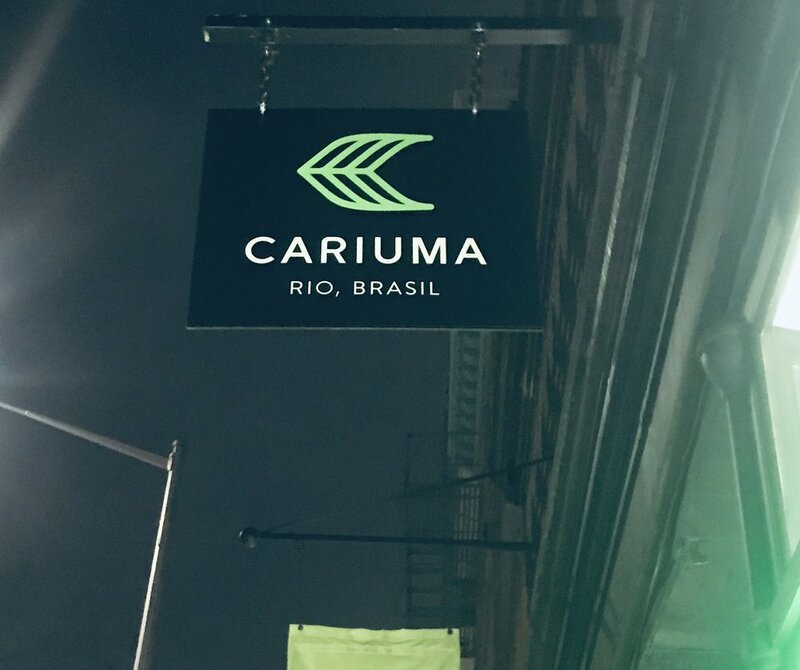 Last week I visited the Cariuma Pop-Up shop located at 122 Prince Street in NYC. Cariuma, a shoe brand, was born in Brazil and they sure brought Rio to New York! Upon arrival, visitors are greeted with a huge window display with the brand’s canvas sneakers placed on what looks like Brazil’s iconic Escadaria Selarón staircase in Rio. Chairs decorated the walls of the retail pop-up, each from an iconic bar in Rio de Janiero, Brazil. If only chairs could talk! There was music, great vibes and influential people in the building, with Brooklyn Brew and authentic Pao de Quejo to snack on. 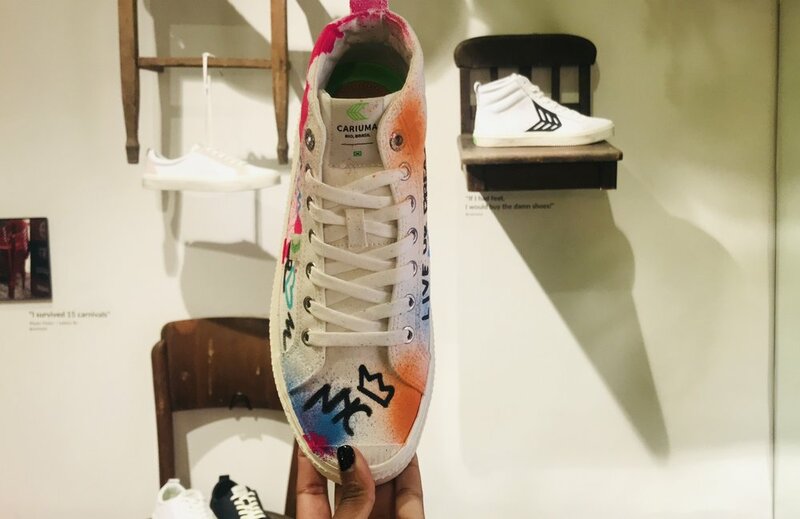 Patrons mixed and mingled while graffiti artist AJ Lavilla customized Cariuma’s signature OCA and Catiba sneaker styles. Overall it was a fun experience learning about the Cariuma brand. Thankfully I had folks like Jude, and Daquon on site to answer all my brand questions. They launched in May this year and have been hosting pop-ups in all your favorite cities. Make sure you check out their pop-up retail store in NYC. Their doors close 10/29! If you do miss out, catch them next at Art Basel in Miami or shop online at www.Cariuma.com. Special thanks to Rae Holliday for the invite!